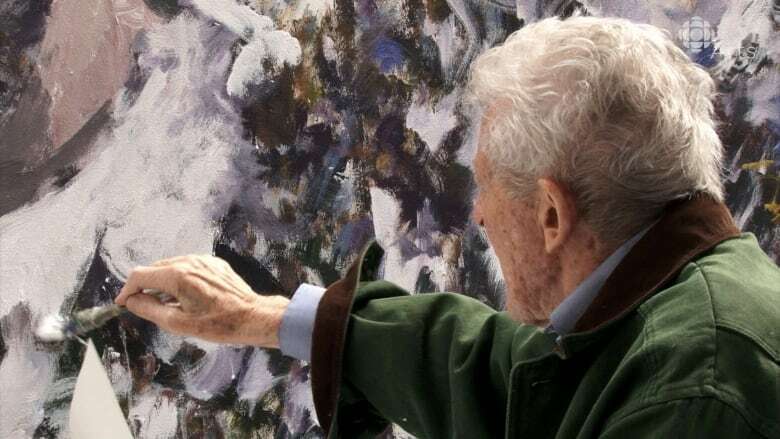 Gordon Smith has been painting abstracts for seven decades — and to this day he's still influenced by his life as a soldier in World War II. As an Intelligence Officer in the Canadian Infantry, Gordon Smith was called to join the Allied Forces in Europe in 1941. Two years later while in Sicily, he was wounded badly by a landmine, was transported to Tunisia to recover for months and then returned to Canada. But despite being injured in the war, Smith now looks back fondly on the friendships and bonds he built with his fellow soldiers during World War II. And his history during wartime has informed his body of work as a painter. With a practice spanning over seven decades, Smith has become an influential painter who still works actively and exhibits his large-scale abstract canvases. His latest exhibition is a series entitled "Black Paintings" that has glimpses of his time as a soldier. The richly coloured works sometimes make explicit reference to his military history — but it's the expressiveness of the paint itself that more vividly recalls Smith's experience during the war. Working with paint and its material qualities has kept Smith creating for so long, and in this video he opens up both about his love of the medium and his memories of World War II. You can see "Gordon Smith: The Black Paintings" at the Vancouver Art Gallery until February 4, 2018. 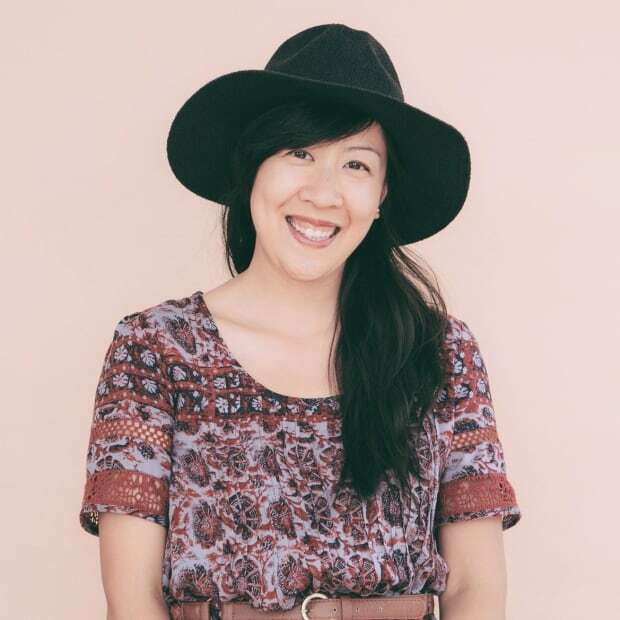 Lisa Wu is a filmmaker and photographer on the unceded, occupied territories of the Coast Salish peoples. She’s interested in stories that show the intersection between art and social change. Working to keep B.C. beautiful, she’s part of a movement to #stopkm and to #protectourcoast.